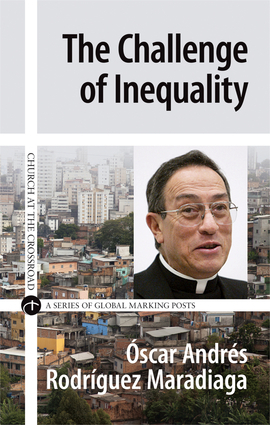 A truly Christian perspective on global economic inequality from a prominent Cardinal and close ally of Pope FrancisIn this treatise, author Cardinal Rodríguez Maradiaga offers a clear analysis of the expansion of economic inequality and its root causes, followed by a review of suggested solutions, and a hopeful outlook based on new model of economic and human growth. Maradiaga is one of the most outspoken members of the Catholic hierarchy when it comes to the growing inequality around the world. As one of the church's most informed experts on social issues, Maradiaga holds that it is imperative for any Christian community to look at the dire state of social justice in the world, and to work for positive change. However, to do so requires a clear understanding of the issues at hand, and a comprehensive practice based on the laws of ethics. The Challenge of Inequality is perfect for anyone who is ready to study the urgent issue of social disparity, and is willing to work for a better world. Oscar Andres Rodriguez Maradiaga, SDB, is a Honduran cardinal of the Catholic church. He is the archbishop of Tegucigalpa, the president of Caritas Internationalis, and the former president of the Latin American Episcopal Conference. He worked as the Vatican's representative to the World Bank and the International Monetary Fund and has spoken out on social justice and inequality for many decades.